Founded in 1888, Royal Ashdown Golf Club is a traditional member’s golf club, set in the heart of the Ashdown Forest. One of the things that golf lovers most appreciate about playing here is that so little has changed over the club’s 130 year history. 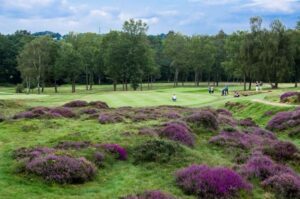 Heather, humps, hollows, pools and streams remain nature’s defence against shooting a low score. 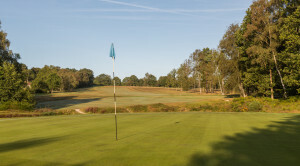 The stunning classic heathland layout of the Old Course is currently (2017) rated by Golf World as 31st in its top 100 courses in England, whereas the West Course, which snakes its way through the heart of the Ashdown Forest, in this most beautiful part of Sussex, is also award winning having been named the best course under 6,000 yards in the UK by Golf World magazine. Today both award winning course are enjoyable by members, guests and visitors alike. 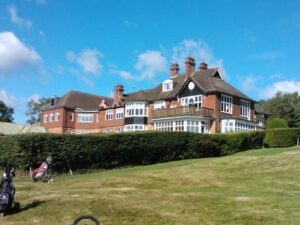 Without question this is the best 36-hole golf club in Sussex – and not a bunker in sight!